This month marked the 25th birthday of one of the industry’s most charismatic personalities business, Peter O’Hanlon’s Travelfinders. Now a widely known and integral part of the industry, Travelfinders has come a long way since it first started advertising overseas holidays and Irish hotels on the old analogue RTÉ Aertel platform back in 1993. 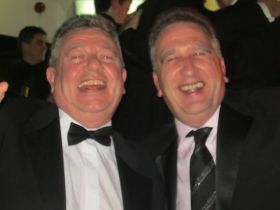 Peter is a personal friend of Travelbiz and we would like to wish Peter and all the team continued success.